One Belt – One Road: The visit of Chinese Delegation – National Technical University "Kharkiv Polytechnic Institute"
The delegation from the People’s Republic of China headed by Yao Weike, the President of China Association for International Science and Technology Cooperation paid a visit to NTU “KhPI”. The purpose of this visit — to implement the strategy of PRC “One Belt – One Road” of developing international scientific cooperation, and to become acquainted with KhPI, discuss the realization of scientific projects. 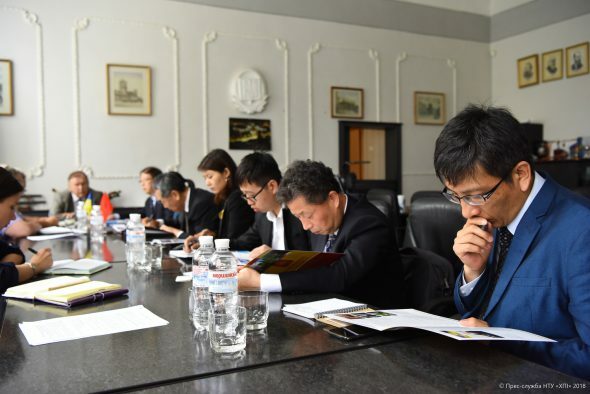 The delegation also included representatives of different departments of Harbin Institute of Technology (HIT) and some industrial companies. 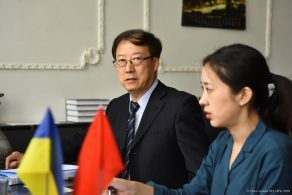 The representatives from China had talks with the administration of NTU “KhPI”. 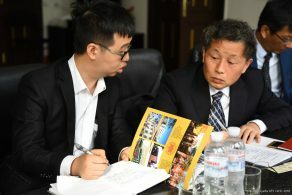 Among questions for discussion were the opportunity for academic exchanges between KhPI and Chinese Universities, cooperation in the field of science and education. 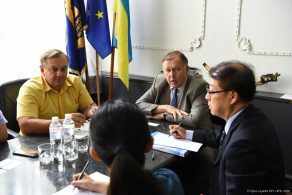 During the meeting Yevgen Sokol, the rector of NTU “KhPI” gave the key information about KhPI to the guests and pointed to strategic spheres in the education and science, in particular power engineering, mechanical engineering, chemistry and computer technologies. “We have long-term friendly relations with China and we willingly develop contacts at a new level. The realization of joint scientific developments is among the promising areas of our cooperation” — noted the rector of KhPI Yevgen Sokol. “We are impressed with the history of your University. We can see that there is a strong scientific basis for research, and a significant technical base in the University. 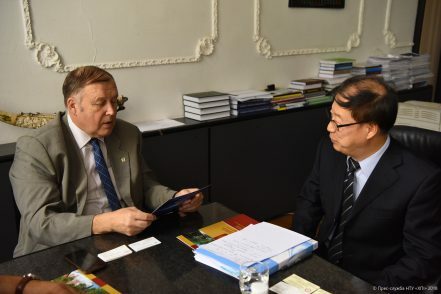 The aspect of our cooperation can be versatile, including research sphere, students and scientists exchange programs between universities”— underlined Yao Weike, the president of the China Association for International Science and Technology Cooperation. 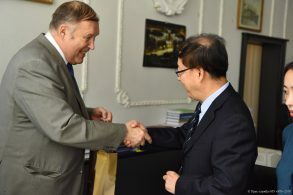 According to Gennadiy Khripunov, a vice-rector of NTU “KhPI”, the University actively works with foreign students. Today more than 1.200 foreigners study at KhPI, and about 25 of them are the citizens of China. 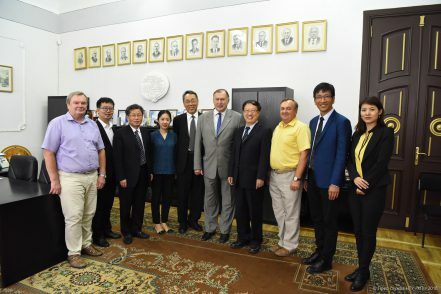 During the negotiations, the representatives of Chinese delegation invited the rector of KhPI and scientists to participate in the scientific conference in Harbin (China). It is going to start at the end of October. Rector Yevgen Sokol thanked for the invitation. He said areas that scientists from KhPI would present at the conference should be coordinated in the nearest future. “To make this event more effective the areas should be interested for both countries. 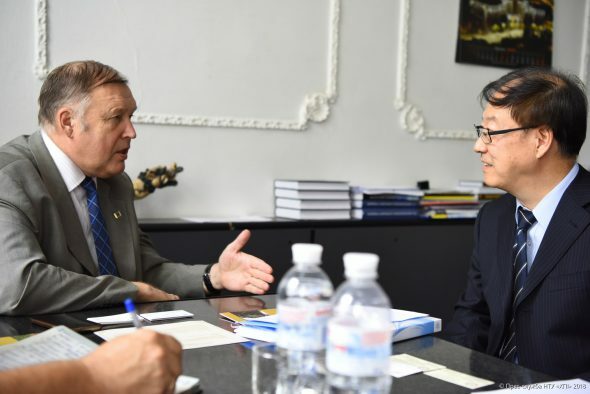 In addition, the scientists can work out the prospective program of joint research”— said the Rector of KhPI. China Association for International Science and Technology Cooperation is nonprofit nongovernmental organization of Chinese scientists and engineers. It consists of 167 national professional societies with the hundreds of local cells of a different level. The main goal of it is to develop and popularize the science and technology in the Chinese community and maintain international cooperation. Today the Association and its affiliated societies enjoy membership of more than 250 international scientific and engineering organizations. 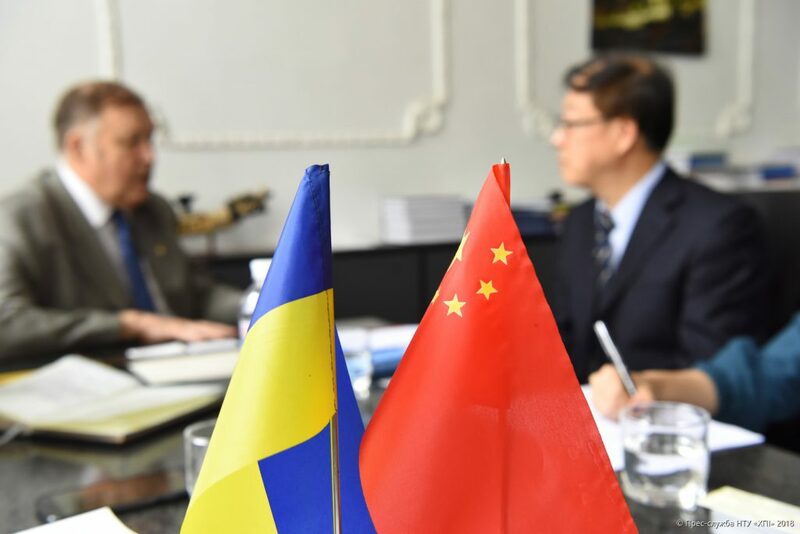 Strategic Program of PRC “One Belt— One Road” is aimed at the development of partnership with many countries, including Ukraine in the field of scientific projects realization. Within the framework of this program, China has already signed the agreements with 40 countries of the world. Eleven international organizations participate in its realization.